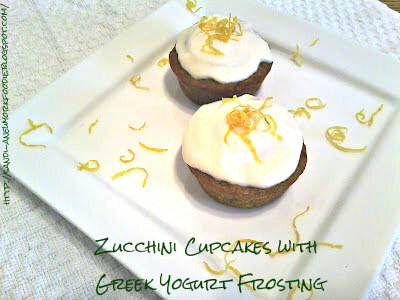 I really don’t bake very often but when I saw these Zucchini Cupcakes with Greek Yogurt Frosting in a special publication of Better Homes and Gardens magazine called “Good and Fresh”, I definitely wanted to try them. They are low fat and healthy. 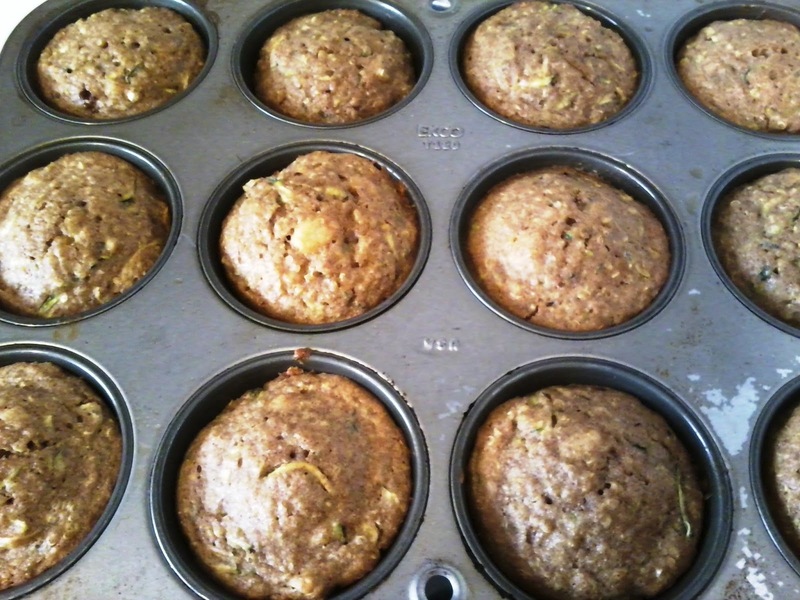 Not only are they made with zucchini but there is also quinoa and unsweetened applesauce in them. If you are not familiar with quinoa (pronounced Keen-Wa), It is a grain that originates in South America from the ancient Inca civilization! They called it the “Mother Grain”. Quinoa is extremely healthy for us. Very low fat, 0 cholesterol, basically 0 sodium and has 3 grams of fiber, very high in protein and is gluten free!! To see how I made these cupcakes, keep reading! Preheat oven to 350 degrees F. Lightly coat twelve 2-1/2-inch muffin cups with cooking spray. In a large bowl stir together flour, granulated sugar, brown sugar, cinnamon, baking powder, salt, and baking soda; set aside. In a medium bowl beat together eggs and milk. Add quinoa, zucchini, applesauce, oil, and vanilla; stir until well mixed. Add quinoa mixture to flour mixture, gently stirring to combine. 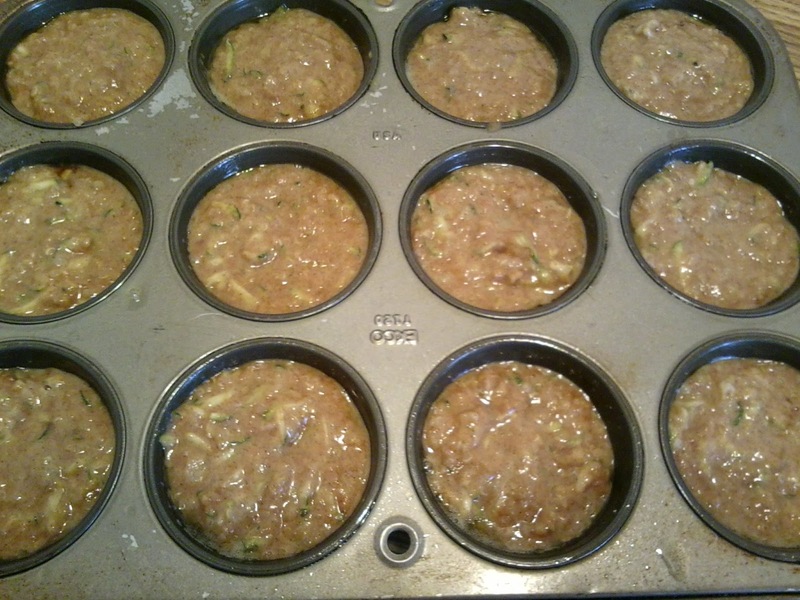 Spoon batter into prepared muffin cups, filling each about three-fourths full. Bake about 20 minutes or until a toothpick inserted in centers comes out clean. Cool in muffin cups on a wire rack for 5 minutes. Loosen edges; remove from muffin cups. Cool on wire rack about 1 hour or until completely cool. Frost with Greek Yogurt Frosting; sprinkle with lemon peel. 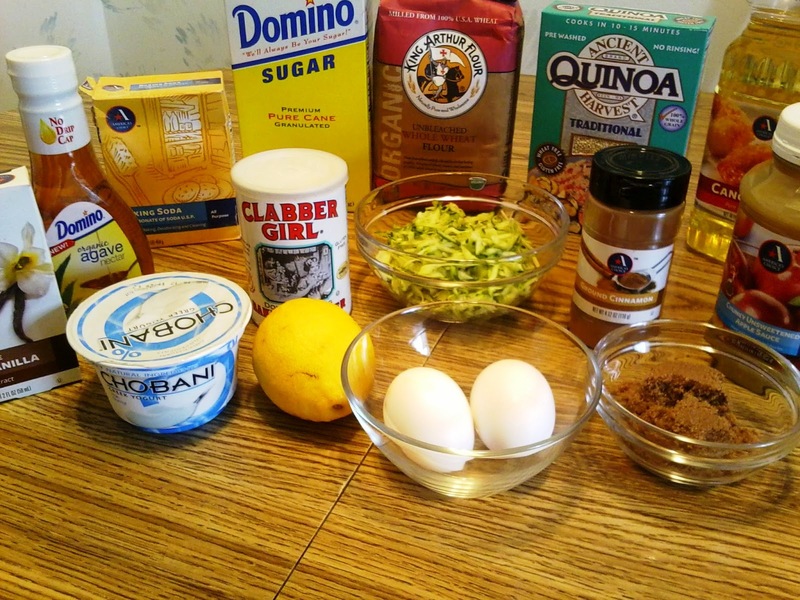 In a mixing bowl whisk together yogurt, agave nectar, and vanilla.